According to various sites, Lorne Michaels has chosen a new lady to join the SNL ranks of Kristen Wiig, Vanessa Bayer, Abby Elliott and Nasim Pedrad. 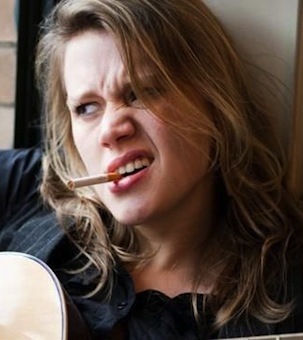 Her name is Kate McKinnon and she has performed regularly with the improv goldmine, Upright Citizens Brigade and starred in The Big Gay Sketch Show and a webseries called Vag Magazine. Kate Mckinnon will be the first openly gay woman in its 37-year history and second openly gay person since Terry Sweeney, in season 10. It’s because us gay’s don’t have the same rights Chuck, it is people who don’t understand why we are 2nd class citiezen’s. Hopefully one day we can stop talking about it when we have equal rights!!! I don’t know why they make being gay is such a big deal. The more they spotlight it the more they make it seem like it’s an unnatural way of life. If your gay, okay. If you’re straight, okay. Let’s quit talking about sexual orientation and actually talk about the individual’s talents and abilities. I think it’s more of a positive thing for the community. It’s a big deal that she’s gay because it isn’t easy to break through to the mainstream when you are. Yvonne Hudson was the first black woman on SNL, which was semi-groundbreaking in 1980. However, if she isn’t funny, it’s hardly going to matter whether she’s black, gay, white, male, female or alien.